Elise presented to the surgery unhappy with her ‘crooked teeth’ searching for an easy, affordable way to improve her smile. 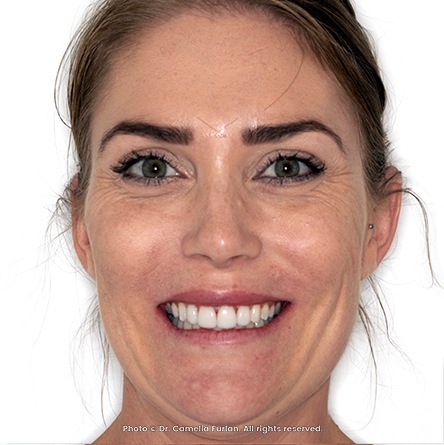 Designing a new smile for Elise included Invisalign Treatment, Composite Restorations, Cosmetic Re-contouring and some home whitening. These photographs of Elise’s progress are 8 months apart.